AVAILABLE AT CLINTON LOCATION -- HARD TO FIND 2.0L ECOBOOST ENGINE!!! 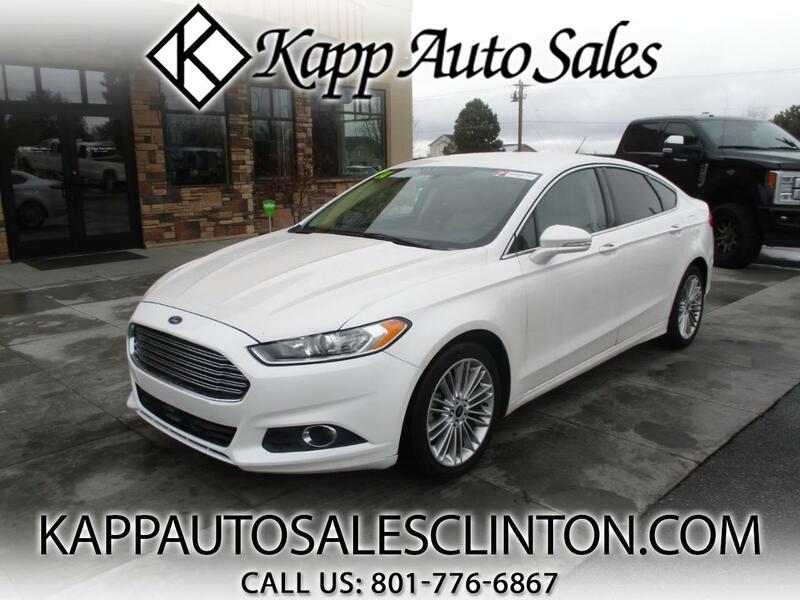 **FREE 3 MONTH/3,000 MILE WARRANTY AT LIST PRICE** CHECK OUT THIS 2014 FORD FUSION SE WITH THE 2.0L ECOBOOST ENGINE!!! THIS CAR RUNS GREAT AND COMES LOADED UP WITH LEATHER INTERIOR, HEATED SEATS, PWR WINDOWS, LOCKS, MIRRORS, PWR SEATS, AUTOMATIC HEADLIGHTS, FOG LIGHTS, CRUISE CONTROL, STEERING WHEEL CONTROLS, BLUETOOTH, CD, AUTOMATIC TRANSMISSION, ALLOY WHEELS, TINTED WINDOWS, AND MUCH MORE!! !